This is the latest cheap data plan promo from 9mobile which gives awoof (very cheap) data to its subscribers. 9mobile (Etisalat), this afternoon on its Twitter handle lunched this new 9mobile 500 Naira for 4.5GB data plan. This article will tell you all you need to know about this promo from 9mobile. 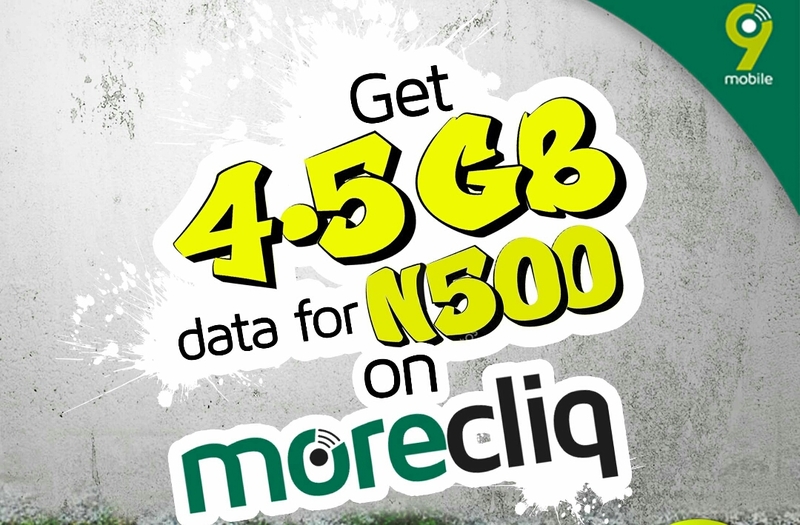 This etisalat data subscription promo is for new subscribers on easy cliq tariff plan, so to get started you need a new Etisalat SIM card. About 9mobile (Etisalat) Easy Cliq. Visit any 9mobile experience center, buy and register a new 9mobile SIM Card. You will get a confirmation message that you have successfully migrated to easycliq. 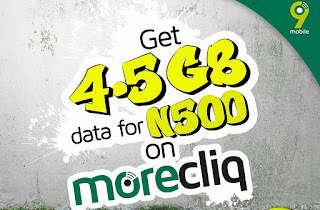 Now you can move on to the next step which is to dail the promo code which gives 4.5GB for 500 Naira. Please know that you will be given 4.5GB for 500 Naira but will be valid for only 5 days. So you must exhaust the data on or before 12midnite on the 5th day or your remaining data will be wiped off. Personally, I this this 9mobile (Etisalat) 500 Naira for 4.5GB data plan / promo would have been a better offer if the validity period was at least 14days (2 weeks) or even a whole month. This same 500 Naira can could give you 6GB for a whole month on ntel WaWu data plan. What do you think? Can it be done more than once?